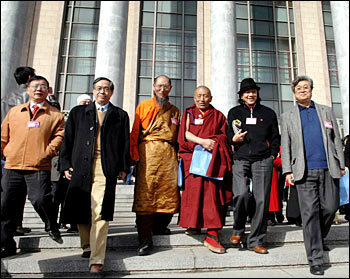 · What is the legislative process of the National People's Congress? · What is the legislative process of the NPC Standing Committee? 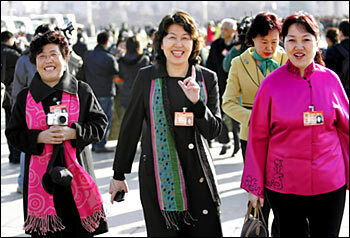 · What role does the People's Congress system play in the life of the people of China? · How did the CPPCC get its name? · What is the CPPCC's composition? 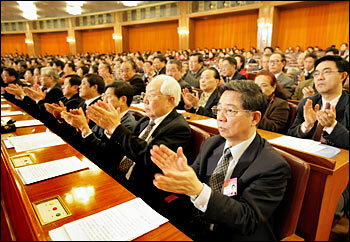 · What are the primary functions of the CPPCC? China is on the road of peaceful development and can already count itself as a responsible member of the international community, said Premier Wen Jiabao while meeting the press on Tuesday after the conclusion of the Fourth Plenary Session of the 10th National People's Congress in Beijing. The National People's Congress, China's top legislature, on Tuesday voted in favor of Premier Wen Jiabao's government work report and the country's newest five-year development blueprint. 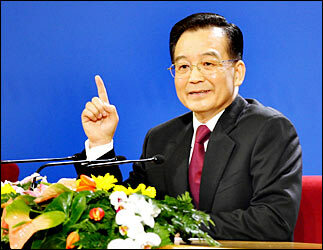 The decision endorses China's new economic policies that relate primarily to rural development and sci-tech progress. The Chinese People's Political Consultative Conference, the nation's top advisory body, concluded its annual session in Beijing yesterday with a resolution endorsing the government's plan to accelerate rural development and focus on social equity and stability.